The fantasy digital board game Armello will be getting a new update for the Nintendo Switch version. It will bring a newly improved multiplayer experience as well as the new Jewellery Box Feature to better organize items. Though a date has not been given yet for the Armello v2.0 update for consoles, The PC, Mac and Linux v2.0 is live now. More information can be found in the official announcement below. 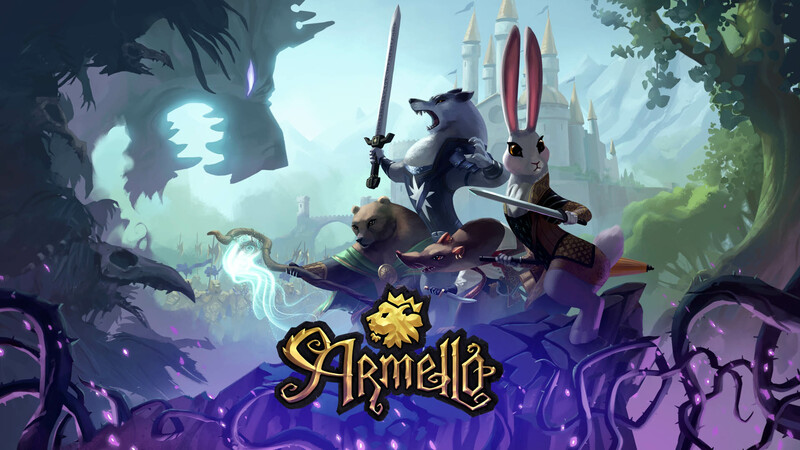 MELBOURNE, VIC – Feb. 26, 2019 – Armello, the acclaimed fantasy digital board game from League of Geeks, launches its enormous v2.0 update today at 10:00 AM PST on Windows PC, Mac, and Linux. This free update will arrive on Nintendo Switch, PlayStation 4 and Xbox One in the future. After three-plus years of continuous post-launch support, Armello v2.0 delivers a tremendously improved multiplayer experience. Multiplayer Reconnect, the most-requested feature from Armello fans, allows any player whose connection drops to rejoin a match in progress. Additionally, the intelligent Party Menu makes it easier to set up online matches against friends. Armello v2.0 offers new long-term goals and rewards through the new Hero Mastery feature, allowing players to level up heroes and earn new cosmetic content, including the ability to equip multiple dice skins in never-before-seen combinations. Hero Mastery also encourages online play, as completing multiplayer matches earns experience, with wins giving greater bonuses. The new Jewellery Box feature makes it easy to view items, organize them, and see progress toward prizes not yet obtained. Save Hero-specific loadouts of skins, dice, and jewellery with the Clan Grounds feature. A new 3D card system sees the stylish frame-animated cards swoop into the game whenever one is play. Finally, a massive overhaul of the hero selection screen, interface, and UX help make even just launching the game and navigating menus simpler. Armello v2.0 releases on Steam for Windows PC, Mac, and Linux today at 10:00 AM PST. To celebrate the update, the base game is 75% off at $4.99 USD and the Armello Collector’s Edition bundle, the complete Armello experience including all DLC, is under $30 USD.